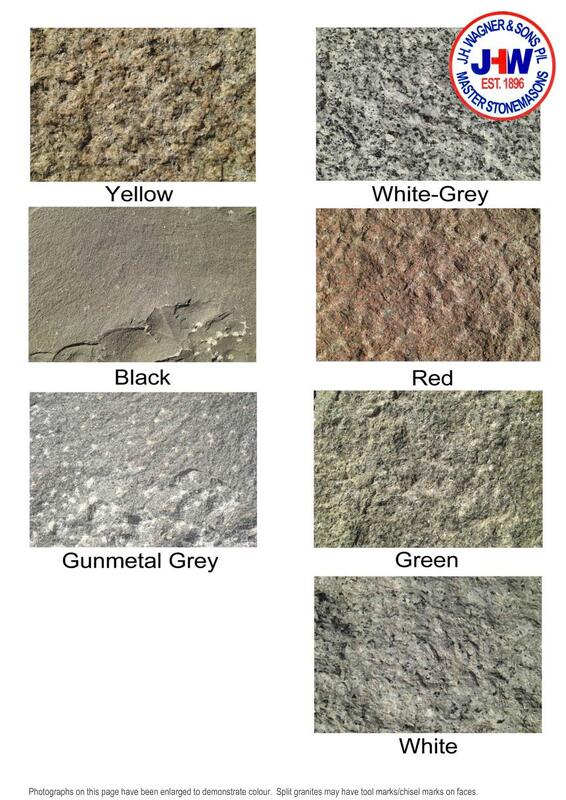 Split Granite & Basalt colours available from J.H. Wagner & Sons. J.H. Wagner & Sons provides and stocks Split Granite and Basalt in a large range of products including paving, walling, garden edging and Cobblestones. We have also established a network of supply from quality quarries; if your preferred granite or basalt choice is not shown on this page we can source the colour for you. Natural colour combines with texture and durability to suit any project. Split product stocks can be viewed at our Toowoomba and Sumner Park, Brisbane offices. Return to Granite Products here.